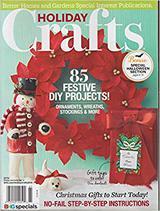 Feline Fun for Furry Friends! 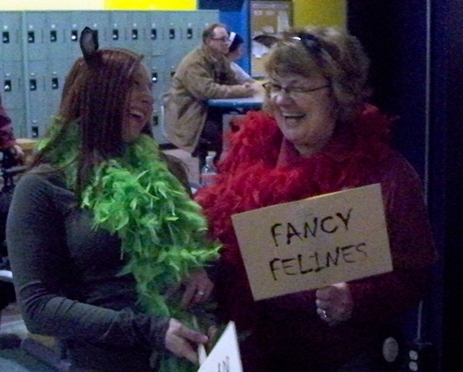 Yesterday Kate and I had fun participating in a Bowl-a-Thon event for six local animal groups. It was hugely successful and everyone had the best time. 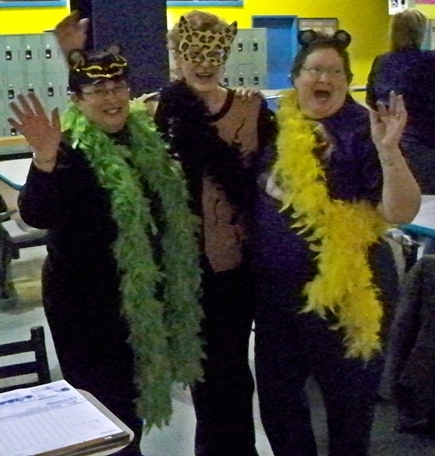 We were bowling for the Cat Club, our two teams were the Kat Nappers and the Fancy Felines. Kate and I were the Fancy Felines! Neither one of us hadn't bowled in a long time but Kate had overall high score for the two strings and I managed to have high score for the first string! The event was enthusiastically supported and everyone went home with prizes. We had a great time especially in our costumes of bling cat ears, rosettes and feather boas! 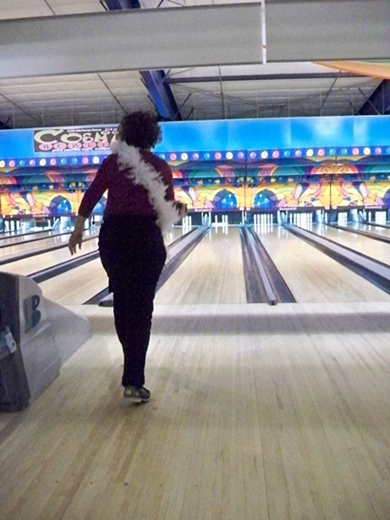 The feathers kept falling out, not sure if affected the bowling style or not! 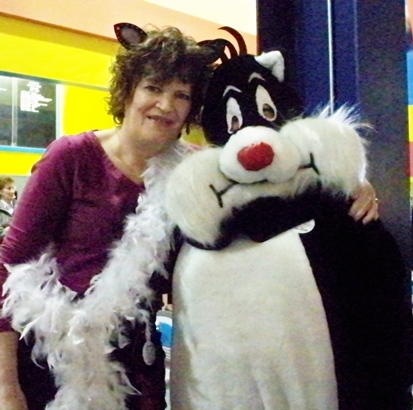 Celebrity cats showed up to support the event, here I am with Sylvester, he is quite the bowler and our two ragdolls Milla and Bella have a huge crush on him!